2016 is the year of meme. 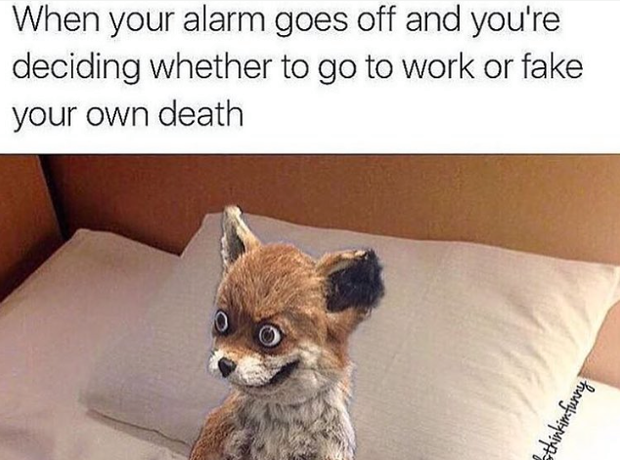 So here are our 20 memes of life that you definitely need saved in your phone. 1. Yeah. This is an everyday Meme for sure. 2. This hits about 8pm Sunday night. Every Sunday. And it's the worst feeling. 3. Who doesn't want to be this happy? Drake gives us serious life goals. 4. We've all made this face. So many messages so little time to reply to boring people. 5. Yas. Get the squad round and get ready for some absolute juicy gossip. 6. You and your friends are sending memes on your whatsapp group suddenly your boss walks past. 9. Getting in your trackie bottoms, netflix and chill. There needs to be more rap songs about that. 10. You know that moment. When it goes off. 12. Awkward moment when Michelle starting wearing less and going out more... Drake knows. 13. She's married with a kid now. This could be her next move. 14. You can't help that you're hilarious... You're welcome everyone. 17. "Ahahahahaha, ha, ha, haaaa, honestly. You guys, hilarious... But srsly... I need money." 18. Nearly got us there responsibilities...nearly. But not quite. 19. Beyonce's out at work and Jay Z is us on a weekday evening.